Next postRheumatoid Awareness Day – Celebrating a lifesaving, neck surgery! My interview with Bridget Seritt. Dear Carla. :Thank you for putting out such a poignant article about your Mother and her battle with Rheumatoid Arthritis. I can truly say I understand. 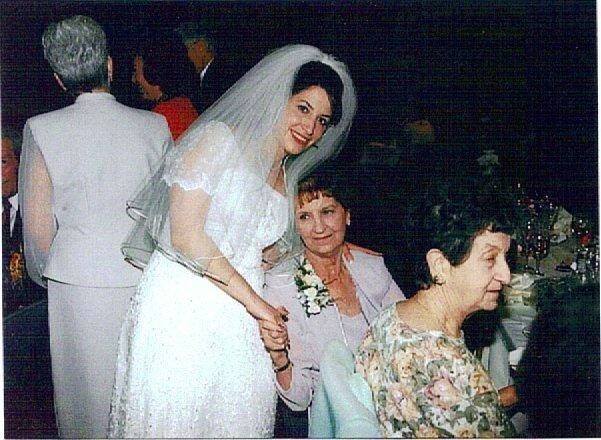 My beloved Mother Estelle Weinberger was diagnosed at the tender age of 28, with severe rheumatoid arthritis, and each and every day was a challenge. I remember my younger brother and myself coming home from school, to find our Aunt at our house, at least once or twice a month to help us with our homework or prepare our dinner, while my Mom was lying in bed, completely unable to move a muscle, in such horrific pain. Our Dad who worked from 7 a.m. to 7 p.m. was extraordinary in his care of this wonderful woman, this woman of courage. She suffered so much pain, and our Dad was told to expect her to die by the time she reached 40, with her will, and the will of her family, she passed away 20 years later at the still tender age of 60, She is gone now 27 years, and I still miss her greatly. This February 5th 2014, to add to our grief we lost our beautiful , awesome son at the tender age of 33, due to Stage 4 Glioblastoma Brain Cancer, and are only comforted by the fact that they are at peace, and their long and courageous battle is over. We Miss, We grieve, We love, We try to move forward. I’m so very sorry to hear of the loss of your mother Estelle and of your precious son. I pray for your peace and comfort while struggling through the pain of missing two family members, who you clearly were very close to. It does sound like you had a spectacular life-example through your father. He sounds like a wonderful person. Thank you for the kind words about my Mother. Her close relationship with God was the ultimate source of her peace. Truly, I pray that He will bring you the comfort that you and your family need for each day, Sandi. God bless you all. Thank You Carla, for your kind words of sympathy. Each day brings new challenges, as we realize we are entering into a New type of normal.But with all the support we have around us, we will be ok.